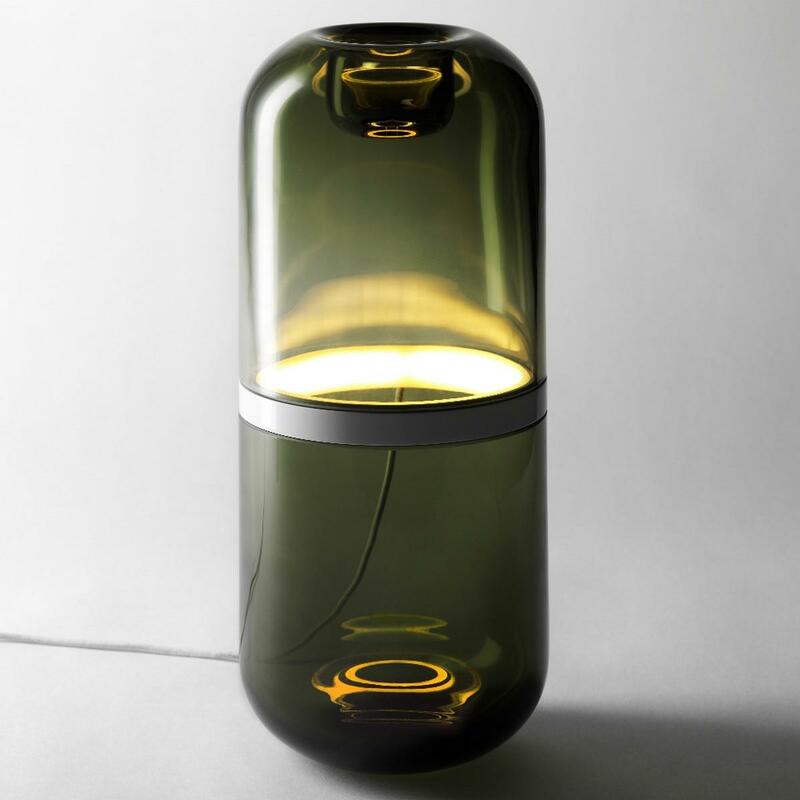 An innovative preposition for Swedish glass by Mattias Stenberg for Design House Stockholm. 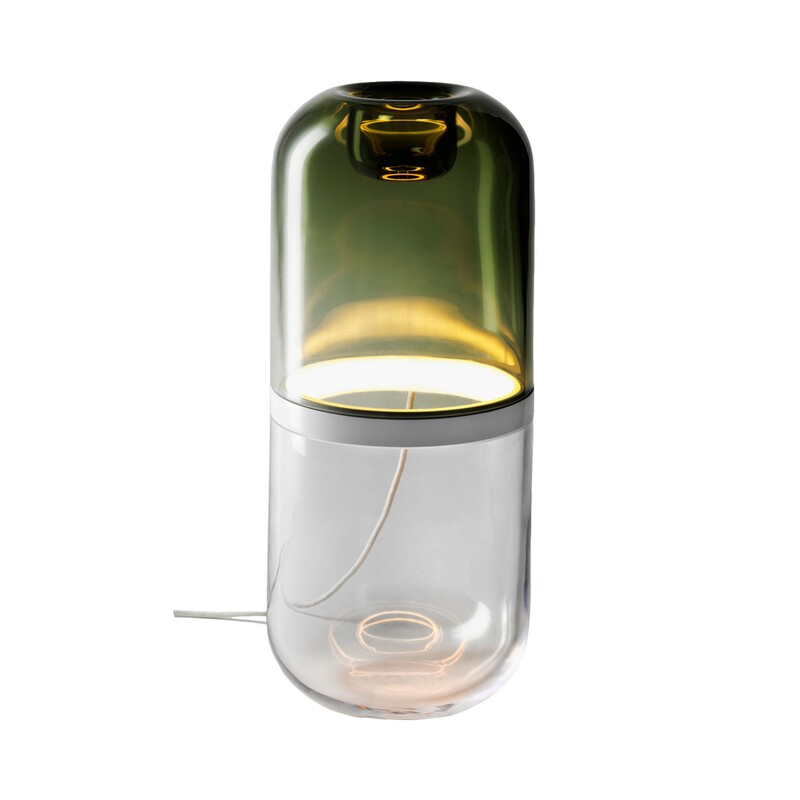 Demi lamp LED Table Lamp Large is a glass sculpture illuminated from the inside highlighting the brilliance of the mouth-blown glass and creating a warm ambient light. 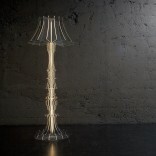 Demi Lamp LED table lamp Large consists of two glass parts which are made by hand using traditional methods. 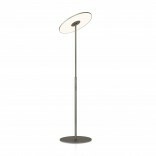 An aluminium ring connects the two glass parts, equipped with an array of LEDs directed towards the centre of the lamp, making the glass seem almost to glow by itself from the inside. 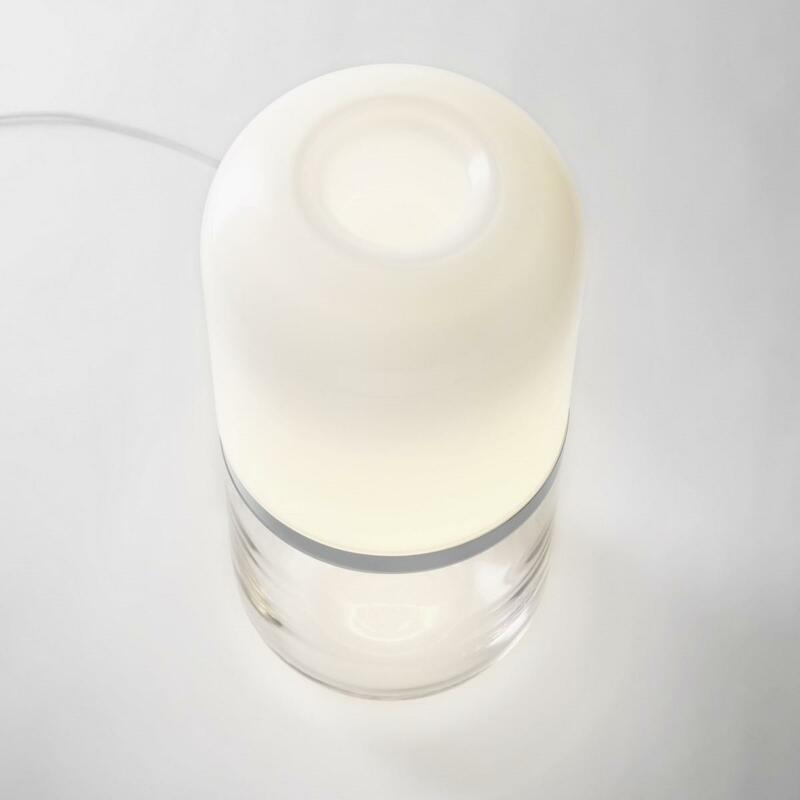 The glass dome acts as a reflector, further enhancing the effect. 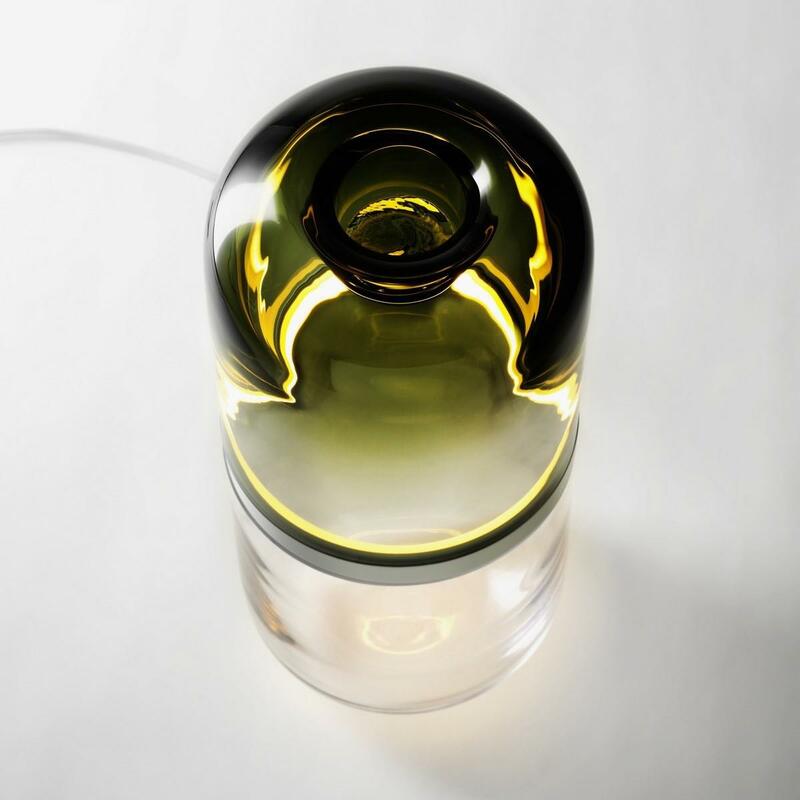 “I wanted to find a new way to highlight the qualities of mouth-blown glass, and ironically the best way was to combine it with a fairly high-tech light source. Traditional glass products like formal stemware and art glass are kept standing on the shelf for most of the year. 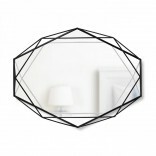 I didn't want to do that, I wanted to create a product that you can use every day.” - Mattias Stenberg. 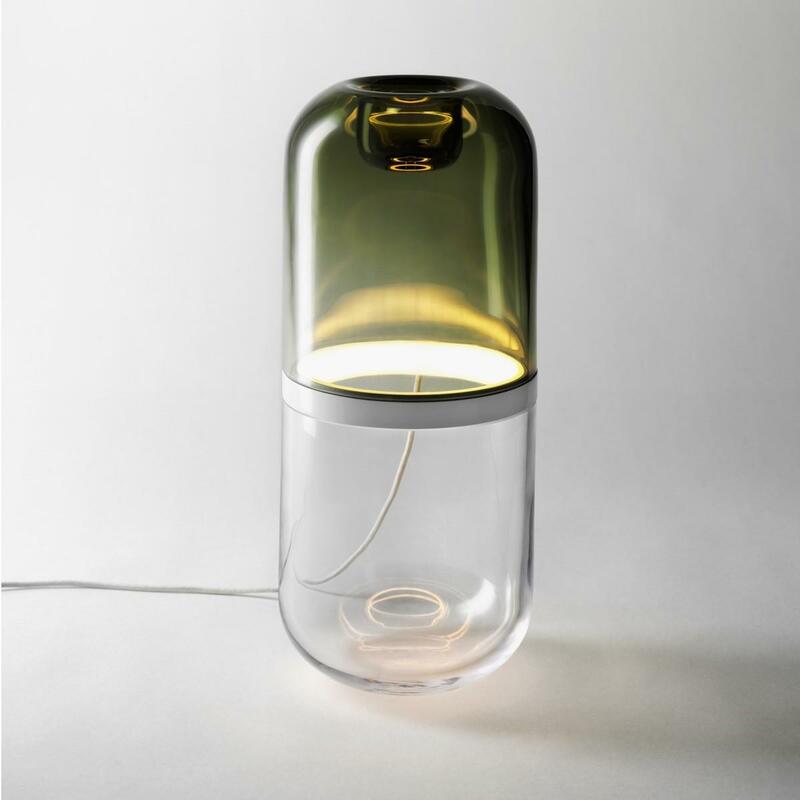 Demi lamp is available in two sizes, with the same diameter but different in height and in 4 color combinations green/clear, white/clear, clear/clear and green/green. Material: Hand-made glass. Casted aluminum ring, LED array with silicone cover. Textile cord with high/low switch. Dimensions Large: Ø 15 cm (6"), H 35 cm (14"), 4 kg. Length of cord: 2.5 m (8'). Colour temperature: 3000 K. Luminosity 140 lm.